Service to be held on Friday, June 22, 2018 beginning at 10 a.m. at Mark B. Shaw Mortuary in San Bernardino, California. 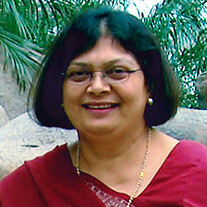 The family of Nirmala Naran created this Life Tributes page to make it easy to share your memories. Send flowers to the Naran's family.